Bring on the volume and frills. Tops and bottoms are showing no slow down in fullness. I paired my gingham top with Zara jeans and I pulled out my fishnet socks from last year. 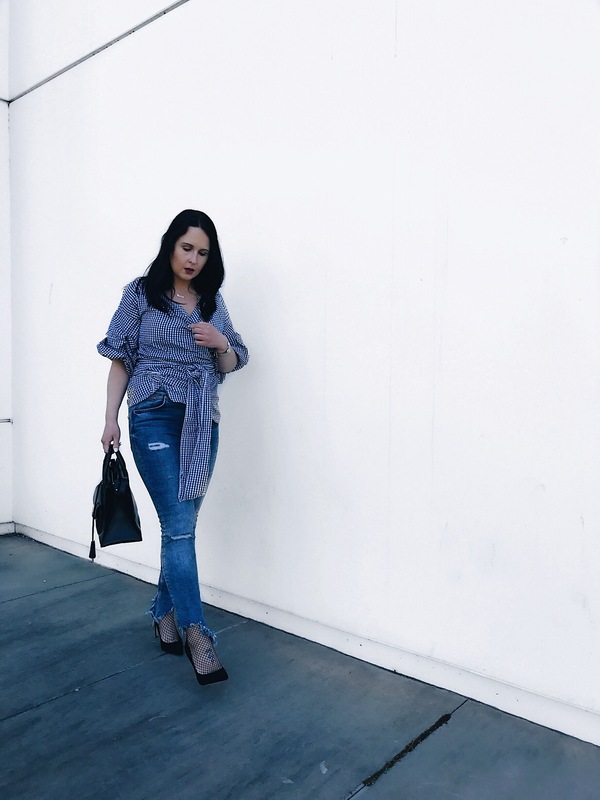 The interesting hem on these jeans is what attracted me and Zara denim fits so well for me. Shop this look by link or shop similar options below. I really adore your plaid kimono-styled top! I love how you dressed it up into a semi-edgy style! Simple yet stylish. My favorite is that top. That gingham top is sooo good! Great look! The top looks good in you and I love the fishnet detail ! !